We can Import data from external data sources; from another Access database, dBase, Foxpro, Excel and so on. We can Export data from Access into these Applications as well. Today, we will explore how to add a range of excel cells data directly into Access Table, by running VBA Code from within Excel? Create an Access Application Object and open it. 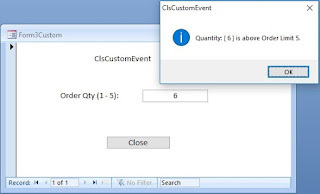 Open the target database within the Access Application. Keep the Access Application window hidden. Open the target table from the Database. Take the count of Rows from one of the Excel data column. Open a repeating loop to write the excel data one row at a time, from second row onwards. Repeat the writing action till all the rows are transferred to the Access Table. Close the table, database and quit MS-Access Application. 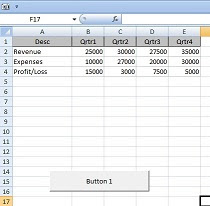 MsgBox Err & " : " & Err.Description, , "Button1_Click()"
Courtesy: The non-functional raw VBA Code was presented by a User in www.mrexcel.com/forum/microsoft-access, modified by me to make it functional and was originally submitted there. The first field of the table is an ID field with data type AutoNumber. ID field value is automatically generated when data is inserted into the other fields.